Andy, do you like the music you write now better than your earlier work? I mean, do you sit around and say "Man, Messages was brilliant, I will never top that one"? No I wouldn’t say that I like what I do now better than my earlier work. I suppose in some respects I have a soft spot for the early stuff because they were the first songs I ever wrote, so it was a voyage of discovery. I had no idea what I was doing, everything was new and therefore everything was exciting and you can never have that again. So you have to try and derive different pleasures from continuing to work now that it’s more than twenty years since I wrote my first song. I’m wondering if there’s any possibility of an album of nothing but 12"/Extended mixes in the future? Duran Duran recently released such a CD in the United States and it’s a fabulous collectors item. A similar CD of OMD would be a real treat! I won’t totally discount the idea, but there would be a huge amount of archive work needed and I’m fairly sure that Virgin would not judge it time well spent for the possible return in sales numbers. However, we’ve had so many questions about hard to get 12" mixes and old vinyl only B-Sides that I would love to make a website only CD. Perhaps we should set up a voting system and maybe we could do a CD with the top 20 choices. But this really does depend on Virgin. Firstly taking the time to find the original tapes and secondly giving us clearance to manufacture and sell it. Souvenir was remixed by Brothers in Rhythm in DMC remix service vinyl a long time ago. Why don’t you include this version into your CD single also? It is a great remix of your song. In 1991 the DMC remix was illegal at the time but actually not too bad. However, just like all remixes it now sounds more dated than the original. I knew it was this much fun, I would have come sooner". Well we did. 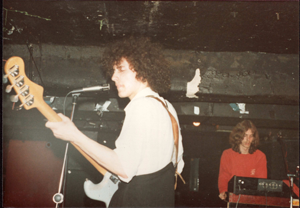 Unfortunately there were places that we never got round to touring at all or until the very end because I was rather naive in the early days and would go just where my manager or my record company told me to tour and never thought about going anywhere else. So it wasn’t until the nineties when I realised that there were places that I hadn’t been and I could if I asked so I started to ask about going to play places like Denmark and Sweden. I wish that I’d thought about it earlier. I think the best songs you have done, are the electronic sounding ones, which weren’t exactly in numbers on your last album. Will you be doing "techno" as a solo artist or this more "organic" sound from the latest album? Well I ‘ve got no plans to do any solo work right now so I don’t know what I’m going to do. The main thing is I want to work with this new band I’m working with and then see how that goes. I think it will be a while before I decide to do my own thing and it will be influenced by the success, or lack of, this other project I’m doing. Tell us the secret: Where do you get all that energy from when you are on stage?! It’s a joy to the eye to see you live! I don’t know. I just got into the habit of throwing myself around and I guess it became kind of chronic. I felt if I wasn’t exhausted at the end of a gig I hadn’t done a proper one so I just had to throw myself around. I heard a rumour that you would tour with an orchestra? Is this true? The orchestra tour we were thinking about, but in the end it was only going to be in Germany and would have been a lot of work for just a few concerts. Will there be a compilation of OMD’s videos, perhaps on laserdisc? No I couldn’t get Virgin to go for it because they obviously don’t think they’ll sell enough. Sorry, that’s the reality of life. If you could play in another band, which one would you chose? There would only be two other bands that I would have liked to have been in other than OMD and they’re probably pretty obvious choices. Firstly, The Beatles, because it must have been amazing to have been in the greatest pop group of all time when pop music was still new and young. Secondly, Kraftwerk because they’re my favourite band of all time. What song do you wish you had written yourself? It would probably be any one of about 3 dozen Beatles songs! Also Neon Lights by Kraftwerk – it’s so simple and so perfect. Why was it decided not to include the remixes of Enola Gay, Souvenir and Electricity on the album? I think the new version of Enola Gay is fantastic and just as fresh today as the original was in the 80s. The reason the remixes were not put on the album was because, as I’ve said in another answer, there is a feeling that remixes usually date more quickly than the original and in a few years time I suspect that most people would rather hear the original Enola Gay and Electricity than the remixes. And since this album was supposed to be the definitive singles collection then it should contain the definitive original versions. However, I’m glad that you like the Enola Gay remix. I’m happy with all the remixes, but it’s been interesting to see people’s various opinions. It was with immense, but not unexpected, disappointment that I recently learned the track listing of the Singles collection. I accept that you can’t include everything and you have previously said that choosing the songs that most people remember was the most important factor to take into consideration. However, to completely omit the singles from Dazzle Ships (Gen Eng and/or Telegraph) in favour of such ‘classics’ as Dream of Me, Call My Name and Dreaming is a bit bewildering! What about the ‘true’ fans, the ones who’ve spent nearly two decades helping to keep you in the life you’re accustomed to? Could you not have laid OMD to rest with something special for them? If you’re a big OMD fan, this album is nothing new for you, you’ve got all these and maybe you want to put your own selection together but you know I can’t. This particular selection on this singles album was the 18 basically biggest international hits that whether we like it or not are the ones that are remembered and much as I love Genetic Engineering it’s not played on the radio and people don’t remember it. I prefer Genetic Engineering to Telegraph. Different people could argue for all sorts of different things. I’ve specifically chosen this because I just wanted to get the latest best, biggest five singles that I’ve had in the nineties onto a collection album. You could argue that it would be nice to do a double album but I just don’t think people want to wade through double albums of things they don’t remember or songs that weren’t very big hits. We’ve talked about the B Sides album and if we can get access to the tapes maybe we’ll try and do something, but I really want to put something on the website that kind of explains some of the things that have happened in the last few years as its become evident why they happened because people just don’t seem to understand the practicalities of having to deal with a record company, especially when they seem to have lost interest and you’re not actually contracted to them anymore, there’s only so much you can get the buggers to do. Once again, you have a science-based theme (DNA strands on the new cover of the Album). A lot of your music has always had science/technology themes in it. How did you do in school in science? Were you an A student? I was actually crap at science in school. Physics and chemistry – I just think it was they way they were taught, they were dreadful and I did them to O Level but not to A Level. So science and technology actually has been something that I’m fascinated in but never really felt I had a particularly good grasp of and certainly the way I was taught it at school was so dull I wasn’t very good at it. I was an A student in other things. 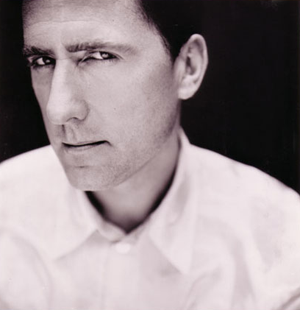 Twenty years from now, How do you want OMD to be remembered as? This is a really tricky one to answer, I guess I should be satisfied if the band is remembered at all. I suspect that the band will be remembered for a handful of very catchy tunes and all of the more weird and unusual songs, particularly those on the first few albums, will largely be forgotten. We’ve heard rumours of a end of the road tour – you may know of the gathering in Manchester Culture Club / Human League / ABC – what about joining in ? Culture Club are back together again because they’re having fun because they haven’t done it for ten years. I’ve been in OMD non-stop for twenty years and I’ve decided now to finish so I really have no great desire to go out on the road. I always wanted to stop whilst I was just about ahead of the game and I’m just about there now so I’m stopping. I really don’t want to go out and do tours of old songs because I can’t write any new hits. How much do you listen to the so called professional critics who review music? I try not to read reviews mainly because we’ve been panned so much over the years. Do they have any influence on what you decide to release? Not anymore but I definitely think that a lot of what journalists said to me in 1982 influenced my decision to make the Dazzle Ships album because they were sort of saying "Well you want to change the world and you say music’s important blah, blah, blah but why are you writing about some woman who’s been dead for 500 years? You’ve got the ear of the world now so be more political". So I was! Is there one particular live performance that stands out in your mind and why does it? There’s no one particular performance but there’s been a few that I recall as being quite amazing to have been involved in. Obviously some of the big ones: the Festival of San Juan in Barcelona in 1984 just because there were 250,000 people there. The Rose Bowl performance with Depeche Mode in 1988 in Pasadena – there were 90,000 there. But also I particularly remember enjoying the whole Sugar Tax tour . I was so delighted in the success of the album and the tour was so much fun on stage, the audiences seemed as delighted to see the band as I was to see their reaction. I just thought the whole Sugar Tax tour was fantastic. I read a review of Universal somewhere that basically praised the album but stated that the reviewer was not surprised that it did not sell. He felt that perhaps if it had been released under ‘Andy McCluskey’ and not OMD it may have been more successful and led you towards a continuing solo career. 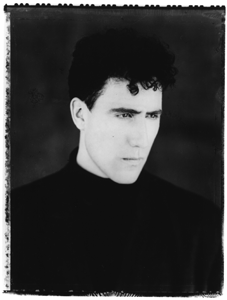 Do you feel that the public may in fact have been more responsive to a solo album than a new OMD one? No I think they might have been more responsive to it if I hadn’t taken so long to do it and if Virgin had done a better job in selling it. Worldwide, Walking On The Milky Way didn’t do much and I don’t know why because it was a great song. I just still don’t know exactly why. You could argue that Virgin dropped the ball, which they did in more than one country but there was something wrong with the timing and maybe I took that as my cue to give up. I listened to the remix of Electricity (Micronauts Remix) and I have to say that this version doesn’t sound like the song at all. It could be any other song. I think what The Micronauts were trying to do basically was to do something as outrageous as they could do because Electricity was fairly unusual at the time it came out. Yes, it bears very little relationship to Electricity but then most remixes don’t. Are there any plans to come back to tour in NYC? I haven’t had a dose in so many years but I have held on to the hopes that you guys would come back – especially with the resurgence of 80’s bands/music. In hopes that you return, my license plate still reads OMINTHED and I have conditioned my fiancé to glow at the mere mention of your name. In fact, I was hoping you’d be in NY August 9th so you could sing Stanlow for us at our wedding (very appropriate/cheery song for a wedding, no?). Though I no longer shave OMD into my hair, my devotion has not waned. In fact I am but 6 months new to the Universal CD (no thanks to Virgin, US) but I love it as it marks a return to the old sounds that make me swoon – sorry for the treacle but your voice just does "IT" for me! No we don’t have any plans to tour in New York because we’re not touring anywhere. I do remember you very well and I’m sorry that I couldn’t come and sing Stanlow at your wedding. Glad you liked the Universal album, sorry it’s never been released in America but it’s something I intend to look into. Because it’s not been released I actually own the rights to release it in America on another label if I want to and I can find one that wants to. Where does he see himself in 10 years from now in 2008, also, If asked that same question 10 years ago in 1988 what would he have of said then. I have absolutely no idea what I’ll be doing in ten years time. It would be nice to think that this girl band would be so successful that I’ve made enough money I can retire, but something tells me that I won’t retire because I’ve just always got something to do. 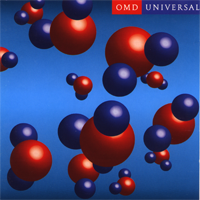 Ten years ago I never thought that there would be another OMD album because ten years ago the whole world was coming unstuck. Paul and I were going our separate directions so I wouldn’t have predicted the success of Sugar Tax. I wouldn’t have predicted anything and the fact of the matter is if you know what’s going to happen it takes all the interest out of it doesn’t it? So I’m quite delighted to see what happens and I hope I have no idea what’s going to happen to me in ten years. Who was the naughty one to put the blame on when you started smoking again? It was Stuart that got me smoking again. One question that I, and all of the OMD fans, would like to know – is Virgin Records planning to remaster all the OMD records and reissue them again? I have seen Soft Cell and Ultravox CD’s being remastered (and they sound beautifully!). Let us see some justice done! Given the fact that the singles collection has been remastered and really sounds good it would be nice to get some of the old stuff remastered if Virgin continue to have the catalogue on sale. We’ll see about that when we’ve got a bit of time next year I think. Is there going to be a songbook to accompany the best of release? 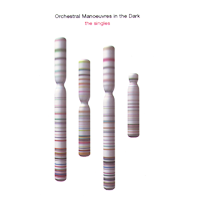 Is there any place to get sheet music for OMD songs? I have The Pacific Age and Original Best Of songbooks, but are there any more. I’d love to get the sheet music for "Was it something I said". Maybe you could consider this for part of your web page? Frankly no, for all the usual questions regarding finance and Virgin/EMI Publishing. We can certainly do songwords on the website and if people want to request them after the OMD Singles ones, we’ll put them up. Sheet music would be harder because unless it actually exists we’d have to get someone to transcribe the songs because I can’t read or write music in manuscript form. Some of my favourite OMD songs from the ’90s are the ones co-written with Stuart (such as Best Years Of Our Lives, Only Tears, Black Sea and Too Late). What unique qualities does Stuart bring to your songwriting? Basically Stuart and I are very different people in terms of our character and our musical influences so Stuart will do things and write things that I have no idea how he does them or why he does them and I certainly wouldn’t do them myself, but it’s great to have access to all those different styles and sounds so that’s what he brings to the songwriting team. What is your favourite synthesiser to use? Currently I am a big fan of the Roland JP8000. Basically a digital Jupiter 8. Also I still have a soft spot for our first synth – the Korg Micropreset. Does your collaboration with Bartos in Elektric Music reflect the influence of Kraftwerk in your music? Not directly but because we did the cover version of Neon Lights on the Sugar Tax album and I asked for sample clearance that’s when Karl got in touch with me and that’s when we got to know each other and got friendly and I enjoyed doing the song on the Elektric Music album but I thought that song sounded more like Erasure than it did Kraftwerk or OMD. Has the appearance of digital synths affected the OMD sound? Definitely. Because we started out on the crappiest little analogue things, then the sound in the eighties with digital did definitely change and now I use a mixture of both. What kind of music are The Honey Heads and when are they going to be released in the US? The Honey Heads don’t exist anymore and we’re putting a new band together so wait and see. Do you think there’s a way to allow me to remix Genetic Engineering with access to the original tapes? I am quite disappointed that that one of my very favourite songs is not on that album. Sorry, Genetic Engineering was a real problem for me on this album. I love the song and would have liked to have it on the album. However, I feel it didn’t fill my criteria. It is not that well remembered, nor often played on the radio. Personally I would have no problem, in fact I would be very interested, but it would be a big job to track down the tape. What will Andy & Paul be up to in the future? Will Paul go back to The Listening Pool and will Andy concentrate on OMD? I don’t think Paul will go back to The Listening Pool. Just as I have decided to move on from OMD I think Paul wants to move forward also. I once read you were working on a song called No One Loves You. Did you ever complete it, and will you ever release it? There is a song about a girl who died in a circus fire that I’ve had for some time. I’ve still never recorded it to my satisfaction. The chorus begins with the words: "No one loves you like I love you". 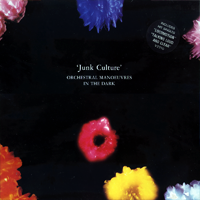 After following OMD since 1981, do you not feel that the jump from "new age " to "calypso" (Junk Culture) was too much of a radical change, adding to a loss of direction the formula that OMD had now seemed to have been lost . It all really came from the Dazzle Ships situation in which we confidently strode off to do the Dazzle Ships album assuming that we would carry on with the success that we’d had. I think, musically, it wasn’t a failure but commercially it was and yes I think we chickened out. I think we consciously and unconsciously played safe on the Junk Culture album and I would say that was the beginning of a problem because I felt the Crush album, and The Pacific Age album after that, we accept that we kind of got on the treadmill of pop music that we promised we never would: album/tour, album/tour. We were trying to write records when we didn’t really have the time to write good enough songs. safer as we went on. I felt that some of the stuff off Sugar Tax got a bit more interesting. Liberator, I went in the wrong direction again although there’s some good tracks on that and I loved Universal, and I think I got the feel back on Universal, but for various reasons it didn’t sell so that kind of answers the ‘did we go in the wrong direction since Junk Culture?’ question, and with regards to Paul and I getting back together and producing catchy and poignant music – I’m not sure. Paul and I have been enjoying doing the interviews together but I honestly don’t know if Paul and I can work together again on a large project. I just think we’ve spent too long in completely different areas and I’m not sure that it will really fit back together again but who knows? Is there a female artist you would like to do a duet with? Because I’ve never thought of myself as a brilliant singer I’ve never really craved to sing with anybody else. Do you have fond memories of the early days, particularly Liverpool and Eric’s? I have very fond memories of the early days because we were doing everything for the first time and we were just living on pure energy all the time. Especially Eric’s because that’s where we started. 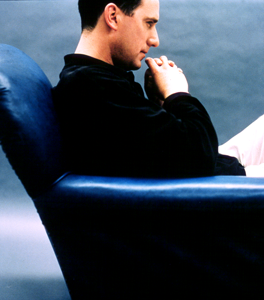 What do you consider OMD’s worst commercial decision? Possibly not making ‘Son of Architecture And Morality’ in 1983! Leaping off in a completely different direction with Dazzle Ships I think in terms of commercial decisions that was a disaster because everything we’d spent the previous three or four years building up was just shot to pieces. 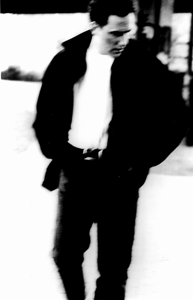 Even when we had hits, we had three top twenty hits on the Junk Culture album and international No. 1’s, but we didn’t sell nearly as many and I think the lack of sales from Dazzle Ships onwards always undermined our confidence in ourselves. hindsight I can see that from 1985 onwards although we continued to do some music that was great the band was in a slow decline until in finished in 1989. I felt Sugar Tax recaptured a lot of the good things, Liberator was a bit hit and miss and Universal was great. 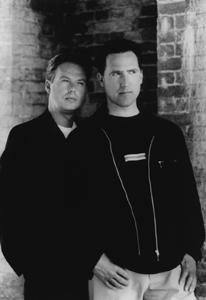 This interview originally appeared on the Official OMD Website in 1998.